Showing 1 - 1 of 1 Products for Carburetor Dash Pot. Our Dashpots are constructed with an anti-corrosive high-grade steel material that is designed to withstand extreme engine conditions, ensuring a prolonged product longevity. Our Dashpots use a high-quality diaphragm and spring design that provides a smooth return motion of the throttle lever during closing of throttle plate, resulting in reduced emissions. Our Dashpots come with the necessary hardware needed to complete the job, leading to an easier installation. 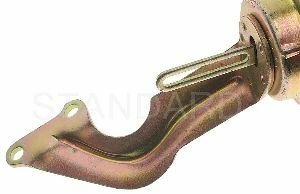 Our Dashpot's rod is constructed of a high-grade material that is anti-corrosive when exposed to extreme engine conditions, ensuring prolonged product longevity. High grade materials ensure precision performance. Professional construction delivers what today's professionals need to get the job done right. Decades of industry leading research and development focused on meeting the technician's needs. Manufactured with the highest grade materials for prolonged life and superior performance.